The Tavern League and Distributors have been trying to get wedding barns closed for years. Why? Because the members of the Tavern League include hotels, restaurants, and convention centers. People are choosing to get married at barns instead of hotels and holding events at barns instead of convention centers and restaurants. Tavern League and Distributors are upset that most wedding barns do not, as a usual rule, hold alcohol licenses (or comply with Americans with Disabilities Act, either). The theory at wedding barns is that they are private events held on private property – like holding a July 4th party at your house, you don’t need alcohol licenses for private events on private property. For reasons that aren’t publicly clear, the out-going Attorney General decided to issue an opinion before he left office. In light of the broad phrase “public place,” along with the exceptions that further illuminate the phrase “public place,” it is my position that this phrase includes event venues generally open to the public for rent [such as wedding barns]. A broad “private event” exception cannot be supported by the text of the statute; there is simply no portion of the statute that would support a distinction between a public place that hosts an event open to all the public, and a public place that may be rented out for a limited private event. The “place,” in both circumstances, is “public” in my view. … [T]he public must have access to the establishment for the purpose of renting or seeking to rent the venue for their event … the event venue still retains the overall character of a “public place” …. In other words, because wedding barns are open for the general public to come rent them (I can go to the venue to book it, and I wouldn’t be trespassing on private property), the fact that the events aren’t public doesn’t matter because the venue itself is open to the public. This opinion is troubling for a variety of reasons. First, the event itself is a private event and, at the time of the event, it is private property. The public may not come to the property and participate in the event, and there certainly aren’t tours being given during events. At the time of the event, the property is private property. 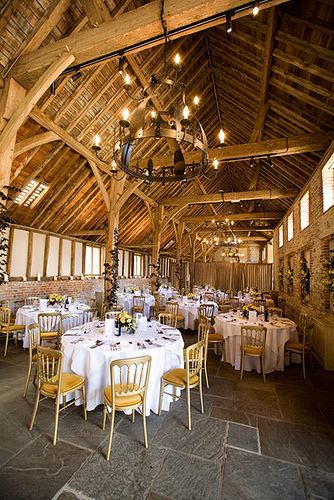 Second, you can’t, for many wedding barns, just walk up to a wedding barn and walk around – you often need to book a tour in advance and go with a wedding planner or be accompanied by the property owner or manager. Third, many of the smaller barns are, in fact, on truly private property, next to or very close proximity to the property owner’s homestead – rented occasionally by farmers’ kids looking to make a few extra bucks on an unused barn on beautiful property. Moreover, the application of this analysis would result in numerous problems, something AG Schimmel himself anticipates: “I also understand that this opinion may call into question whether other locations are ‘public places’ beyond simply [wedding barns].” Tailgating would require a liquor license. Tailgating is often on semi-public property such as store parking lots or even unused empty spaces – places that the public has access to when not being used for private purposes. Parties at an apartment building would require a liquor license – apartment buildings allow the public to tour if they are interested in renting, just like the public can tour an otherwise private barn if they are interested in renting it. The impotant question for me is, at what point does a wedding barn (or any type of “home based business”) become subject to the rules/regulations of similar business located in commercially zoned properties? And, at what point do zoning rules apply? Say, for example, a person works on other people’s cars (for $) in their barn. At what point would it potentially be considered a commercial enterprise subject to rules of other car repair shops are? 10 plus cars a year? But, what if they simply rent the space and tools and allow others to work on their own cars? It’s my understanding that wedding barns don’t sell alcohol, they rent space and allow people to bring in their own alcohol and food. The point being, what activities, or extent of the business transactions make the business subject to regulations? Also, to my knowledge, there is an exception in the statute for private clubs. What if, in order to use a wedding barn, you had to join a club? This is also similar to what I understand used to exist in Utah if you wanted to drink at a bar. Hi, Page – This is Sherri (Jeff’s Paralegal). I forwarded your message to him yesterday, so please send me an email at ssschaaf@ogs.law if you don’t get a response. Thank you!